Pancake Day has soon rolled around again. 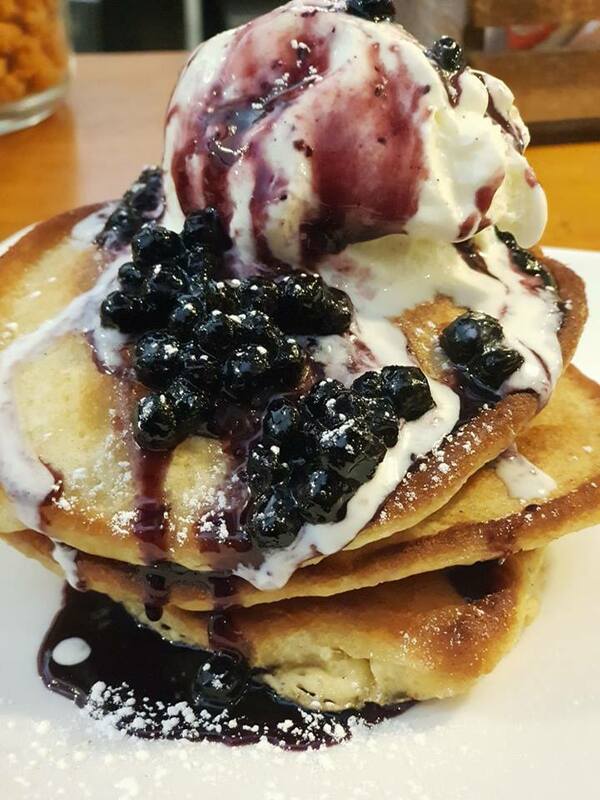 So where are the best place to get your pancake fix this year? 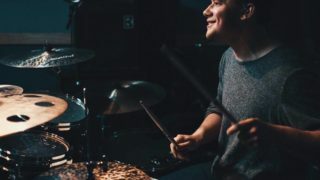 Here is our pick of the bunch! 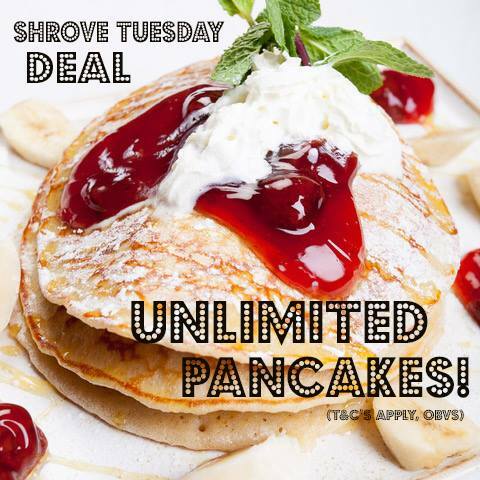 Rickshaw Ricks on Granby Street are offering BOTTOMLESS pancakes for just £3.99. 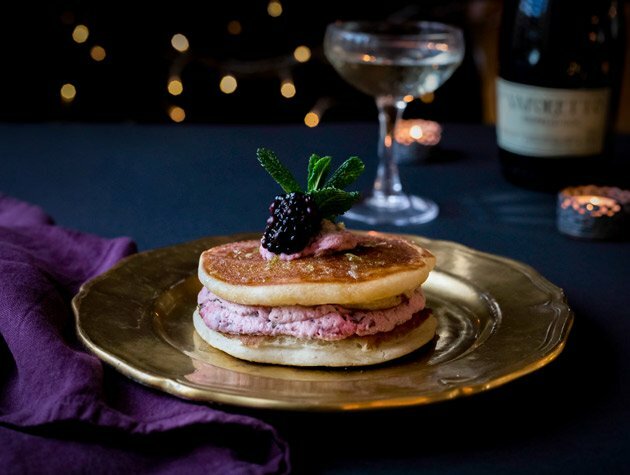 The offer runs from 11.30am – 5pm and each customers has 90 minutes, 1 pancake at a time and the whole party at the table must be using the deal. 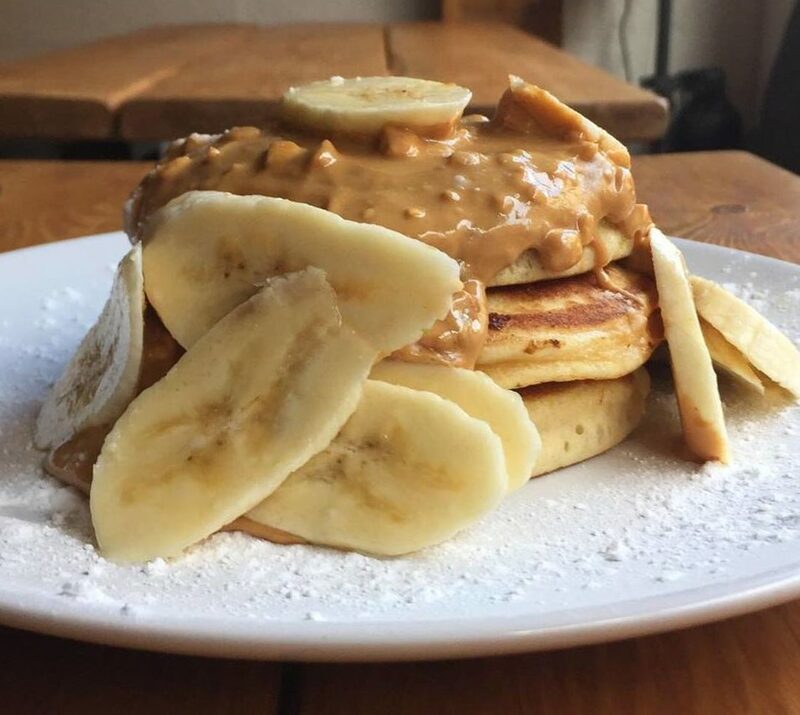 The food at Queen of Bradgate is always great and we’re sure their pancakes will live up to that too! 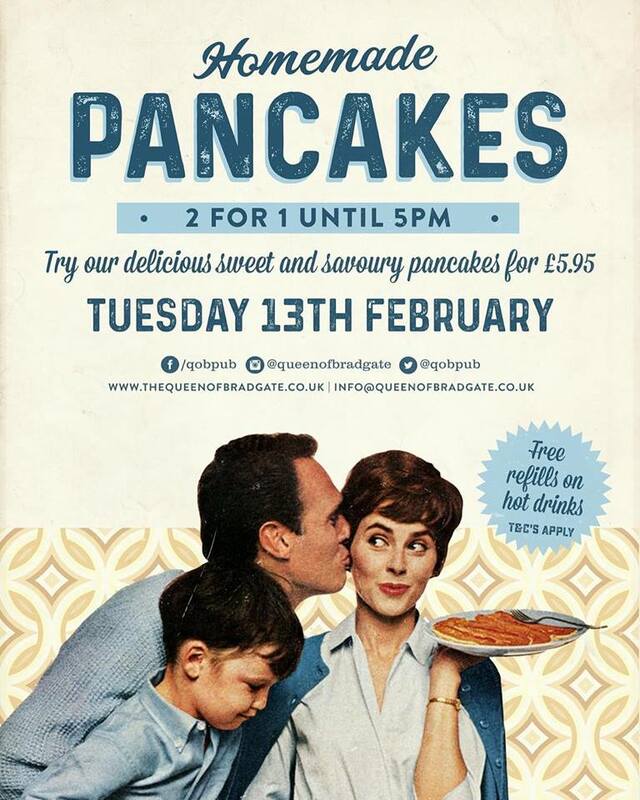 They’re offering 2 for 1 pancakes until 5pm, priced at £5.95 with free hot drink refills. Sweet or savoury, they have you covered! As always, Kai will have their special pancakes on the menu! Made with organic flour in a great stack you can enjoy blueberries, bananas and maple syrup, or peanut butter and bananas, or chocolate and strawberries or how about bacon and maple? They’re definitely worth a try! At Delilah you can go for sweet and savoury as they’re treating customers to 2 specials on Tuesday. Their buttermilk pancakes will come with either Granny’s Secret Blackberry Compote and vanilla ice cream or scrambled local eggs and pancetta. 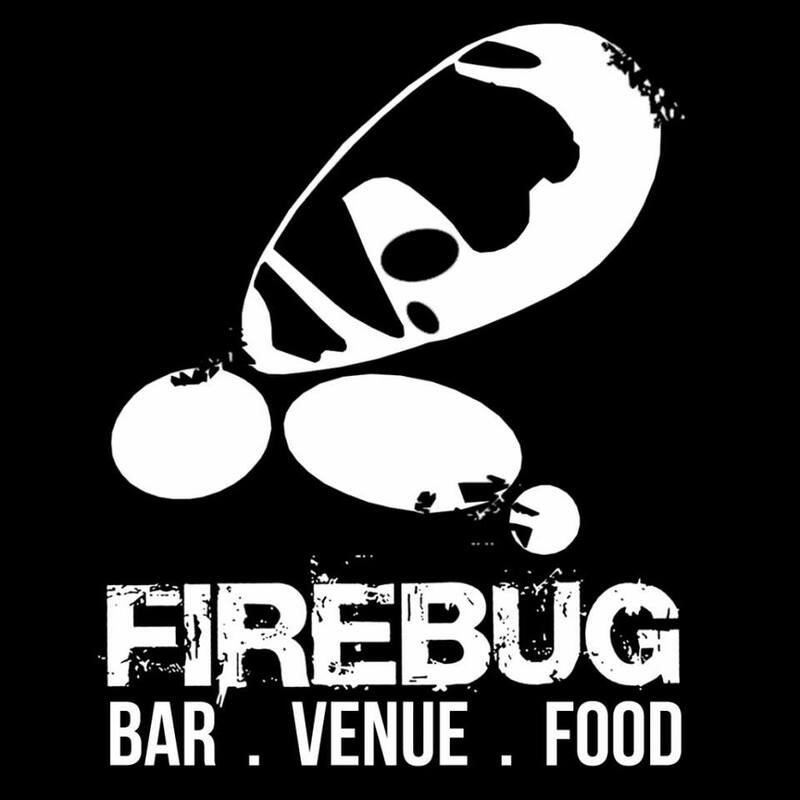 As always Firebug will be bringing you their delicious range of pancakes all day! Toppings this year include classic lemon & sugar, Sailor Jerry salted caramel rum sauce, caramelised honey Jack Daniel’s and orange, Maple syrup & bacon, chocolate orange Nutella and orange slices. You can also add strawberry slices to any toppings for £1. Served all day until 9pm and even during tonight’s special Valentine’s quiz. 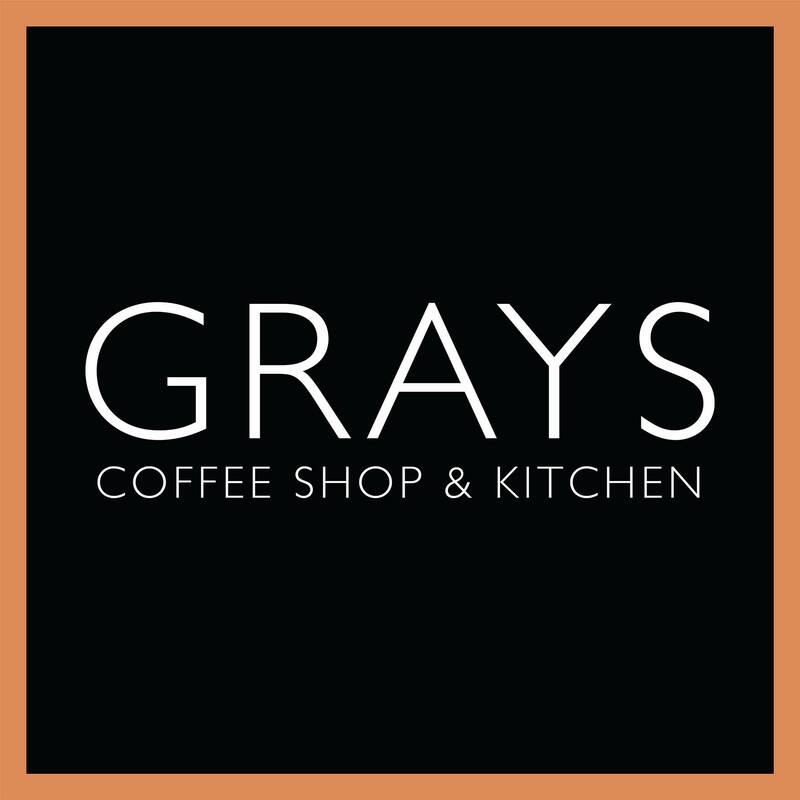 The wonderful lot at Grays will be serving up their usual magnificent pancakes as they do every Shrove Tuesday! The toppings are still under wraps but if the last couple of years are anything to go by you won’t be disappointed! Last year’s toppings included everything from peanut butter, Nutella and banana to Gruyere, Black Forest ham and cherry tomatoes. 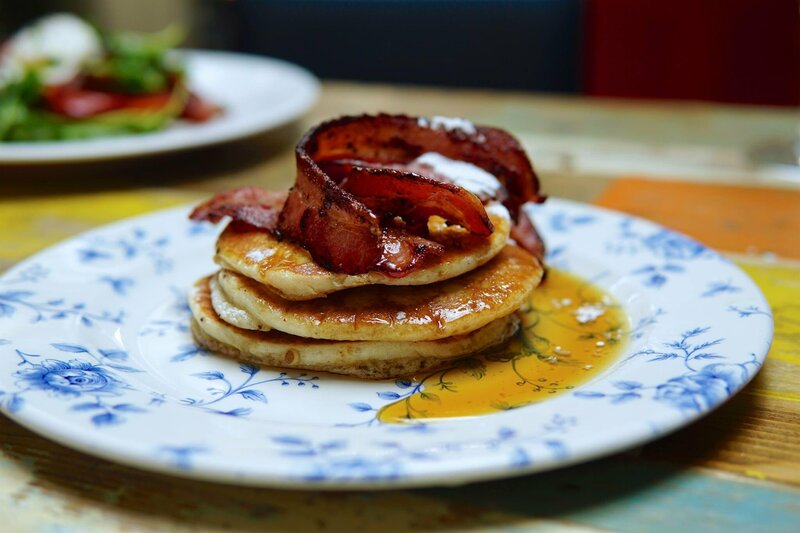 Cosy Club will have various pancake options from the traditional lemon and sugar for just £2.95 or go for something fancier like bacon & maple syrup. 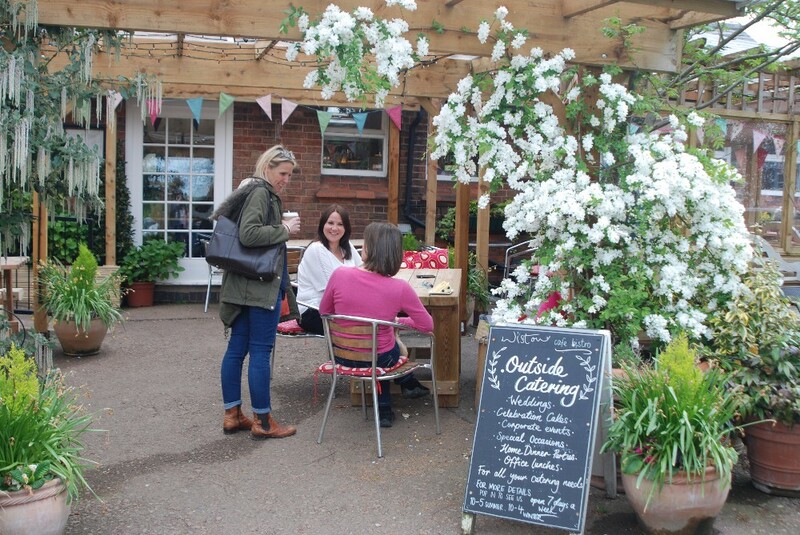 If you’re not in the city centre the why not pop over to Wistow for a beautiful day out with pancakes thrown in? They’ll be serving them with a variety of toppings all day! Heading even further out? 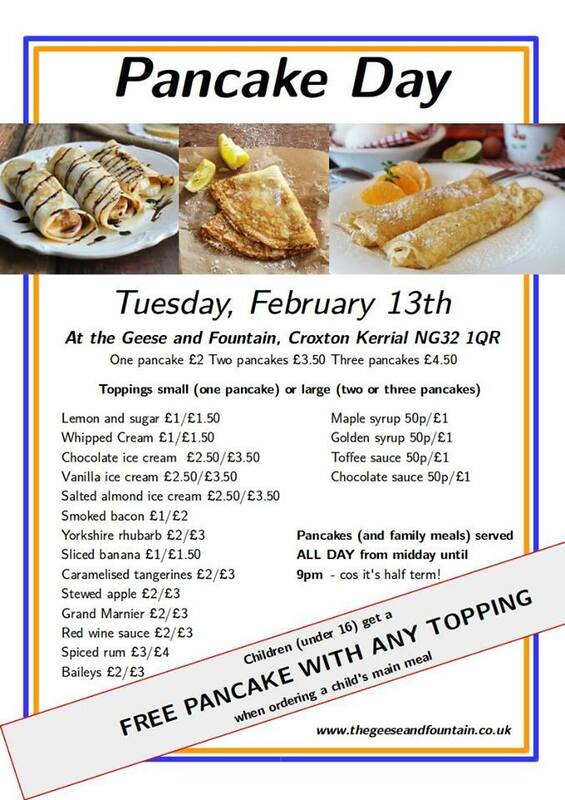 The Geese & Fountain in Croxton Kerrial will be keeping the kitchen open all the way through the afternoon, and serving pancakes for lunch, dinner and everything in between (they’re already available on our breakfast menu anyway). They’ll even be serving some spice rum specials (with non alcoholic options for the kids!). Check out the full toppings list on the image above! Or will you be making your favourite pancake fillings at home? 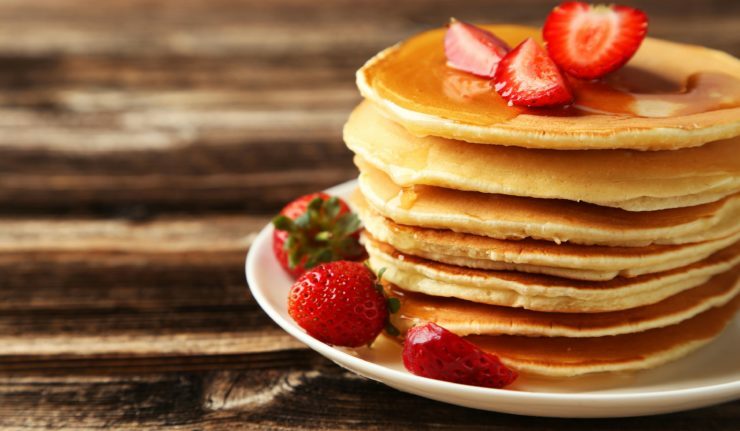 Share your pancake photos with us on Twitter @coolasleicester.